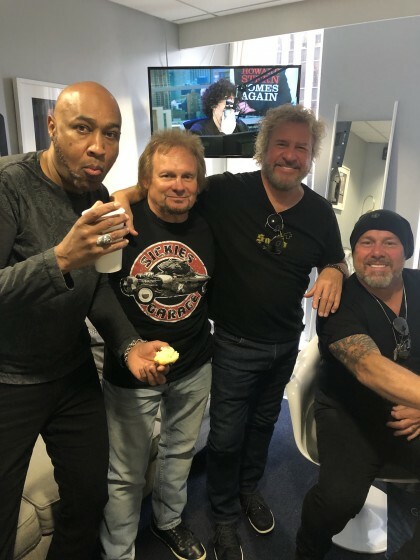 Today is "Can't Hang" release day for the new single from The Circle's new album "Space Between" and we started it off early back on my old friend Howard Stern's show. It was a killer conversation and The Circle dropped a live version of "Can't Hang". 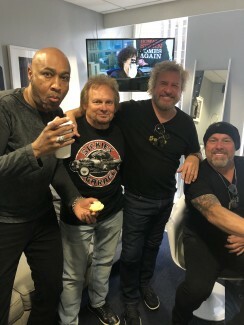 After that we did a quick chat with Redheads before the YouTube Premiere of the new music video and then went off to a packed day of promos in NYC which you'll hear about later... thanks for letting me do what I do and joining us in the ride! Webmaster: Below is a copy of the few questions the band got to answer before the YouTube Premiere. Watch the video here , download/stream the song here, and pre-order the album here. Please enjoy chapter 3 from Space Between!